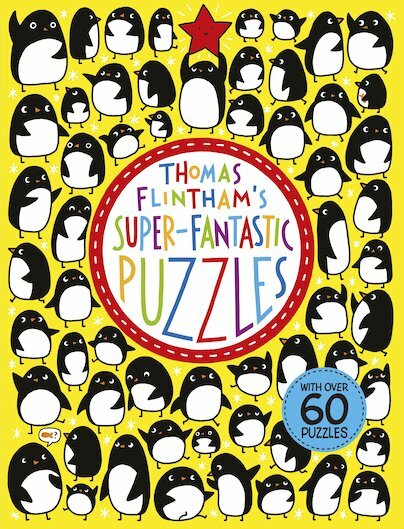 Welcome to the world of Thomas Flintham’s SUPER-FANTASTIC PUZZLES. But it’s much, much more than just a puzzle book. This is an exquisitely illustrated journey that takes the young adventurer into the peril of marvellous mazes, then boggles their mind with intricate quests to find lost treasures, before facing the spot-the-difference puzzles.